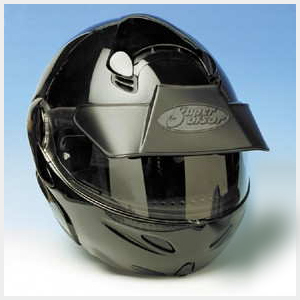 Originally developed for aviation, the Helmet Sunblocker is a plasticized, polymer film which installs on the INSIDE of your visor, quickly and easily, by using dish soap and water. 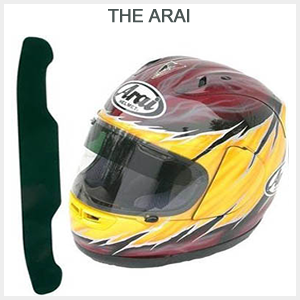 It remains in place as long as you choose to keep it there, yet can be transferred to other helmets, if needed. This transparent polymer film lets in light, but not the glare. Installs above your line of sight, thus keeping your eyes in the shade, ALL the time. It does not interfere with night vision or riding through tunnels, so there is never a need to remove it. 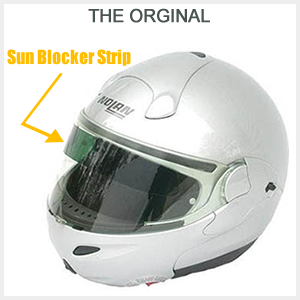 The Helmet Sunblocker stays in place permanently, so it’s always there when you need it… The moment you close your visor, your eyes become instantly relaxed. Dietrich from Guildford & Jeanette from BLAIRGOWRIE bought this item recently.